Eurmax Basic 5x5 canopy tent is our Entry Commercial Level Canopy Tent which combine the light weight and heavy duty. The 5 x 5 party tent can be quickly erected by one or two person without any tools. It is portable and easy to carry. 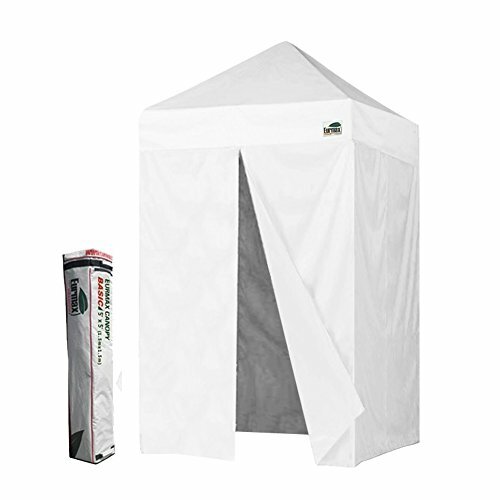 The commercial grade canopy provides 95% UV protection and is water resistant. Full horizontal velcro on valances, easy to attach sidewalls when you need them. It is ideal for commercial or recreational use (small business, craft shows, tailgate parties, picnics, camping, outdoor sporting events). We stock accessories and parts for you life time. We receive many many emails every year from frustrated people who simply require a spare joint, pole or side panel for a canopy tent which they have purchased elsewhere. However, if you have purchased a Eurmax canopy tent, you can simply order any spare parts online. We will always stand behind the product we sold! Please be free to contact us if there are any problems, we will do our best to assist you and making you 100% satisfaction.